Anyone who’s worked for a successful business knows that it’s much easier and cost-effective to keep current customers versus trying to gain new customers. While there should always be a focus on getting leads and acquiring new customers to grow the business, many companies forget the simplest way to keep a successful business is repeat customers. According to KBB.com, vehicle retention is at an all-time high with Americans keeping their new vehicles for nearly 6 years and pre-owned vehicles for more than 4 years. If your dealership is only focusing on vehicle sales and not service, you’re missing out on a huge opportunity. Depending on mileage, vehicle owners typically require service multiple times per year, whether it’s oil changes, new tires, parts replacement or other services. What they may not know is how affordable dealership service can be. Independent oil change and repair businesses make dealerships out to be expensive and unreliable when in fact, technicians at dealerships are factory-trained and are constantly working on the vehicle makes they sell. It’s actually quite logical for vehicle owners to have their vehicle serviced where it was purchased. So, how can you get customers to come back to the dealership? Is this something your dealership is currently doing or is the focus on new customers? Your dealership is probably emailing any customers with email addresses. And so is the OEM and any other business that has gotten their email address. And they are very likely ignoring all of those emails or marking them as spam. But you’re advertising on TV right? Do you pay attention to commercials on TV? Do you actually watch live television or do you DVR it or watch it on demand? Or do you watch TV at all? Technology has made it very easy for consumers to avoid commercials, so yours may very well not even be seen, and further – how do you know your customers are even seeing your TV commercials? Billboards? Newspaper ads? Again, specific targeting is nearly impossible and with newspapers dying out among the younger generations (and in general) and so many distractions while driving, people aren’t noticing traditional advertising as much. Where are people spending their time? On social media. According to Pew Research, 71% of internet users use Facebook, a statistic that has held steady and one of the fastest growing demographics on Facebook is users age 65 and older. 70% of Facebook users engage on the site daily and 45% use it multiple times a day. 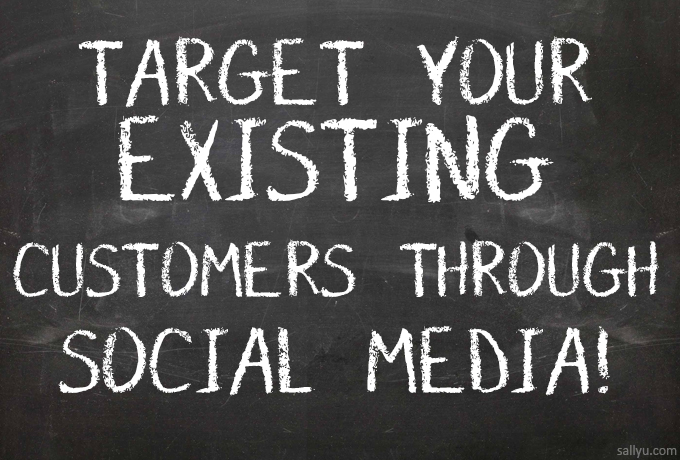 So why not target your customers on Facebook? Advertising on Facebook is very inexpensive and Facebook allows for very specific ad targeting. Polk data allows advertisers to target Facebook users who are in the market for vehicles with targeting specific down to make, models and vehicle condition. Even with this specific targeting, you’re missing out on the number 1 best market: your previous customers. But there’s a solution for that. Facebook also allows advertisers to create custom audiences to target advertising to. Where this benefits dealerships is the ability to target service customers who haven’t serviced their vehicle at the dealership recently. If you weren’t aware, Facebook has been taking measures to encourage paid page advertising by decreasing the percentage of posts that are seen by page fans. So if your Facebook page has 1,000 fans, chances are only 20-40 of your fans will see that post, unless you pay to boost the post. However, if an employee with 400 friends shares that same content, about 280 of their friends will see it. This doesn’t cost anything. Furthermore, since the employee’s friends got a reminder that the employee works at your dealership, they are much more likely to visit your business because they know someone working there.